Specialty insurer Beazley has appointed Nicola Hodson and John Reizenstein as non-executive directors as it looks to “enhance the board’s skills” in the areas of technology, data and operations. 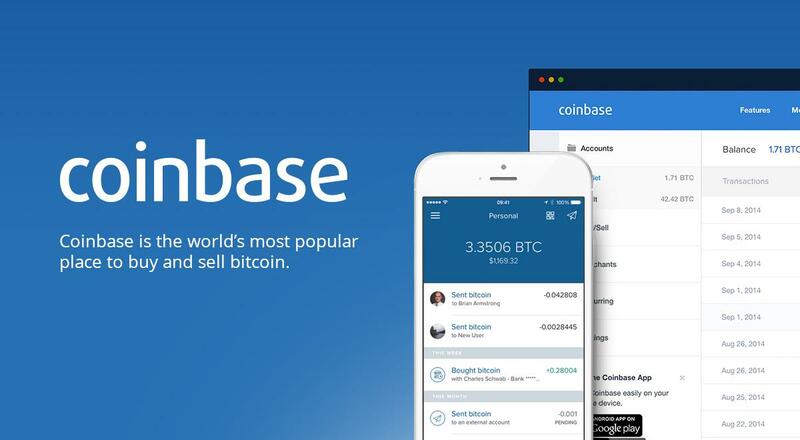 Major U.S. cryptocurrency exchange Coinbase has revealed that its customers’ cryptocurrency held in the exchange’s hot wallets is covered for a reported $255 million. The details of this insurance coverage were disclosed by Coinbase’s VP of security Philip Martin in a blog post published on Tuesday, April 2. The exchange reportedly holds around 2 percent of its customers’ assets in hot wallets while the rest (98 percent) are secured offline in cold storage, where exposure to third-party attacks like hacks is significantly minimized. The Coinbase chief security officer did not, however, provide the names or such other details of the specific underwriters. Lloyd’s of London, which continues to open up the insurance space for crypto and is highly regarded, isn’t your typical insurance company. It is, as Martin notes, a kind of insurance marketplace that brings together multiple underwriters who work in syndicates. Together, the syndicates pool resources and thus help in spreading the risk. Apparently, Coinbase has had an insurance policy cover for funds in its hot wallets since November 2013, particularly to safeguard against what is viewed as the biggest risk facing customer assets- losses resulting from hacking. Coinbase’s revelation comes less than a month since crypto security firm BitGo announced it would be offering an insurance cover of up to $100 million for assets in cold storage. BitGo also revealed that it would use Lloyd’s of London underwriters. BitGo’s VP of Marketing Clarissa Horowitz noted that Coinbase’s move brings more transparency to the digital assets space, a fundamental step towards building trust within the industry. Crypto insurance covers fall in two classes- that which covers the hot wallet and that which covers cold storage. Specifically, the two classes are provided by the crime and the specie insurance markets. According to Martin, crime policies provide insurance to “value in transit,” which would in traditional markets, cover things like theft at ATMs or from armored vehicles. In the world of cryptocurrency, crime insurance covers losses occasioned by hacking, insider theft cases, or fraudulent crypto transfers. In contrast, policies within the specie market cover what is known as “value at rest,” including things like fine art and precious metals stored in a vault. In crypto, specie policies specifically provide cover against physical damage or the loss of client private keys stored in cold storage. Included here would be cases of employees misusing the data or stealing. As such, there is a big difference between “value in transit” and “value at rest,” meaning that Specie policies would, for instance, not cover funds lost as a result of on-blockchain failures like vulnerability in smart contract Multisig implementations. While suggesting that a lot still needs to be done to open up the crypto insurance space, Martin advises that it would be better to focus on assets held in hot wallets and not in cold storage, as the latter holds assets not exposed to much risk. Notably, Martin suggests that to open the crypto insurance space further would need policies to be written, not just to exchanges or custodians as is now, but directly to those who own the cryptocurrencies. The crypto insurance space has begun attracting some of the major insurers around the world, including companies like the XL Group, AIG, and Allianz. The major cryptocurrency exchange Coinbase has revealed the extent of its insurance coverage in an official blog posted by Philip Martin, the company’s Chief Information Security Officer. This is a rare step in transparent disclosure in an industry that is notoriously opaque about its operations. According to the post, Coinbase has a $255 million insurance coverage for its hot wallet holdings provided by a broker registered with Lloyd’s of London. This policy has been in place since November of 2013. It was done, according to Martin, to protect especially against theft due to hacking, as this is the highest-risk loss scenario for cryptocurrency exchange customers. Martin stated that the policy had been placed by Aon, which is a Lloyd’s registered broker, and has been sourced from a global group of insurance companies based out of the US and UK. Some of these companies include some of Lloyd’s of London’s syndicates. Martin further clarified that Lloyd’s was not in itself an insurer. Rather, it functioned more as a partially-mutualized marketplace for insurance. In this marketplace, underwriters that are grouped together in syndicates connect to pool as well as spread insurance risk. The two classes of insurance that Coinbase has taken policies for are the Specie and Crime marketplaces. Specie insurance is specifically for physical damage or the loss of private wallet keys, including losses incurred by employees of the exchange. The second type of insurance, Crime, focuses on losses that could be incurred by insider theft, hacking, fraudulent transfers of fiat or cryptocurrencies, and so on. Martin explained that the difference between the two types of insurance. He said that Crime covers value in transit, while Specie covers value at rest. The head of information security further clarified that Coinbase determined its coverage by focusing on enough Crime coverage so that all its hot wallet holdings were fully covered. The company also accounted for a buffer for asset volatility. He also said that the company did not promise any preferential payouts of insurance to customers, which in insurance parlance is known as First Loss Payee status to special customers. Coinbase is not the only company in the crypto industry to have gained insurance cover. A crypto-custody platform created by Kingdom Trust, a US-based custodial firm, had been insured by an undisclosed insurer who was also a part of the Lloyd’s of London marketplace. Major insurance companies such as Allianz, AIG, XL Group and Chubb are also reported to be tailoring their insurance policies to target crypto businesses. LONDON, March 6, 2019 /PRNewswire/ — Windward, a world leader in maritime risk analytics, today announced plans to hold a conference on May 22 called Sea: The Future, focusing on challenges, technologies and solutions for the maritime ecosystem. Confirmed speakers include former BP CEO, The Lord Browne of Madingley; XL Innovate Managing Partner, Tom Hutton; Lloyd’s Register CTO, Nial McCollam; BLOC CEO Deanna MacDonald; Aon CEO of Commercial Risk Solutions, Lambros Lambrou; EY Vice-Chairman, Shaun Crawford; and Sustainable Ocean Alliance (SOA) Founder & CEO, Daniela Fernandez. Sea: The Future will hold its inaugural event at Trinity House, a Grade I listed, neoclassical building whose rich maritime heritage and focus on the safety of shipping make it an ideal setting for this event.